My Name is Khan (Indian with Engl. Subs) (2010) – Everyone Needs to See This! An Indian Muslim man with Asperger’s syndrome is going on a long Journey to see the President of the United States to give him an important message: My name is Khan – and I am not a terrorist. Too little attention is paid to movies that could actually change the mindset of many people, and therefore the world; My Name is Khan is one of them. I have to admit, I just wanted to see it because my favorite Bollywood couple was in there, Kajol and Sharukh Khan, who have been acting together in original Bollywood productions such as Kuch Kuch Hota Hai and Dilwale Dulhania Le Jayenge – two must sees for Bollywood fans. 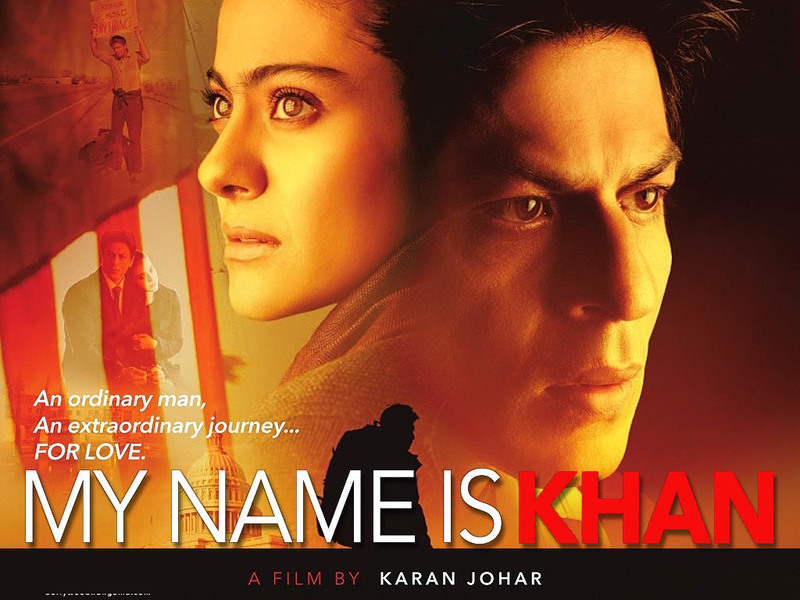 My Name is Khan is an international production and takes place in the United States but is mainly kept in Hindi. The storyline is pretty simple but at the same time it keeps you guessing until the very end. As usual we are being delivered with an ending that some might call cheesy, but it is still settle and not over the top. Emotions are running high and eyes won’t stay dry. The actors convince, however, and this is something I never really like about the international Bollywood productions, the script for the English speaking people is very staged and seems more like a play, or even a cartoon. I always wonder if it is the actors and how they deliver their lines or the just the script that fails. Also, Bollywood loves to play with stereotypes which is why black women for example are usually very sassy and snappy, but mostly they also have a big heart, but I guess that’s okay. Nonetheless, I can say that My Name is Khan is no less than brilliant, and probably Sharukh Khan’s most challenging role. I loved every minute of it, it never got boring, the storyline was never dragging and it left me inspired and sad at the same time. It is definitely a good movie to watch in schools and to use for discussions. If you really think about it, it is not about Muslims, but minorities who are looked down on, or anyone who has to face ignorance from people who don’t even have a clue. At the end of the day we are really the same, just the shell is different. Tammy (2014) – Glad I went to see it anyway! Absolutely… it is worth watching… actually almost everything made by yash raj productions is actually worth a watch, because they are usually original storylines… one if my faves is mohabbatein from 2002. Aren’t Kajol and SRK a bit too old for this mills and boons dross they keep spouting out? I haven’t really been following their individual work rather than their work together in movies, so I can’t really say. But, yeah, SRK definitely made some bad choices over the past years. As far as Kajol goes I think she usually chooses her roles wisely. Or did you mean something else?